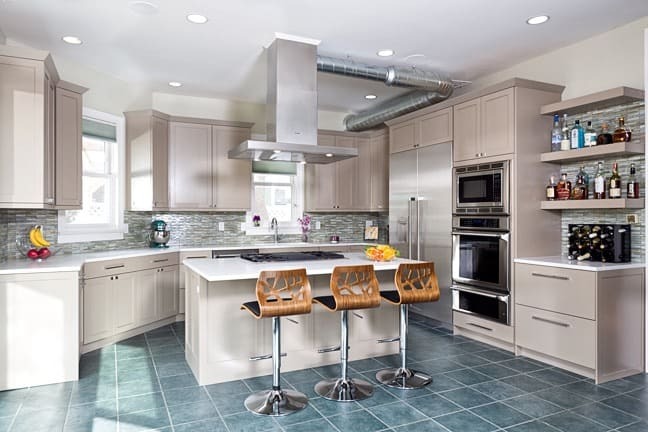 The first phase of this beautiful home remodel included updating the kitchen and creating a peninsula fireplace between the dining and living room. 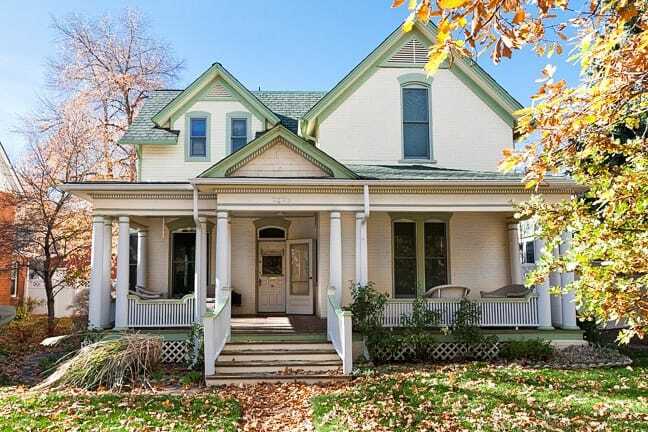 Built in 1895 this Victorian home’s interior did not meet the contemporary tastes of the homeowner. 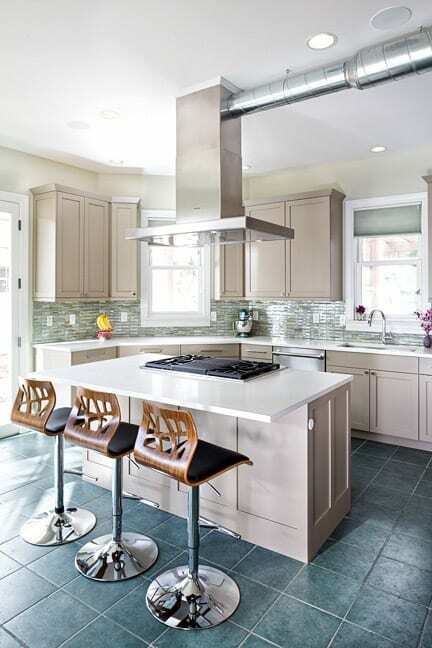 The kitchen was updated and now incorporates beautiful green, blue, gray, and brown tones throughout. 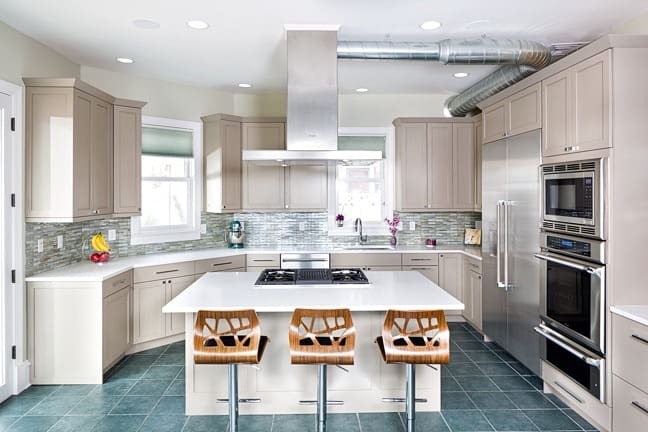 The kitchen island was reimagined and provides a more functional working and seating area, as well as a sleek stainless steel hood and exposed venting. 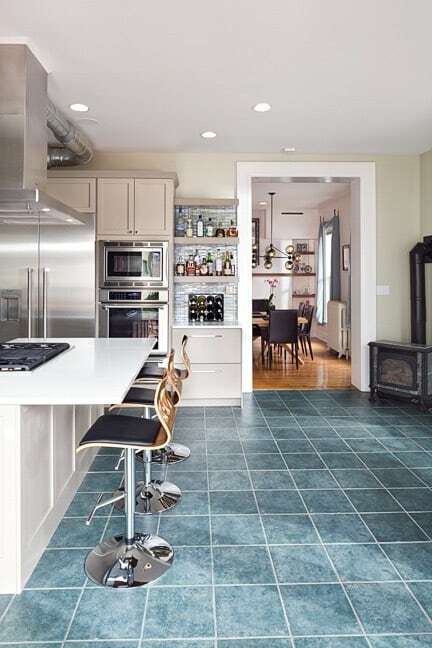 The iridescent glass tiles on the backsplash are a unique feature that literally makes the kitchen shine in the sunlight, and ties in well with the unchanged tile flooring. Programable undercabinet LED lighting allows the owner to select from several different light hues and is a great accent feature, especially when hosting parties. 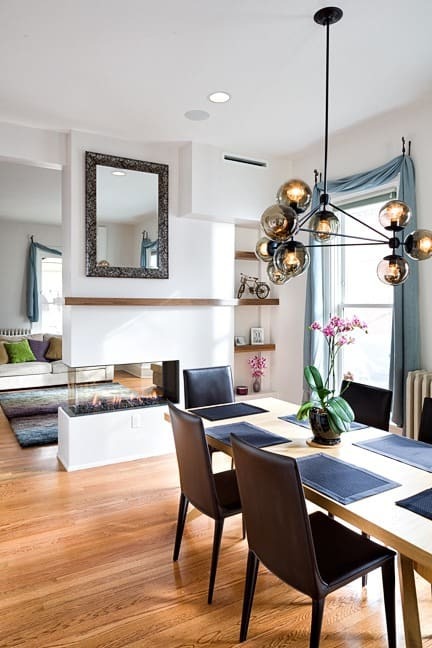 The new see-through fireplace brings warmth to the whole house, but especially the dining and living room. 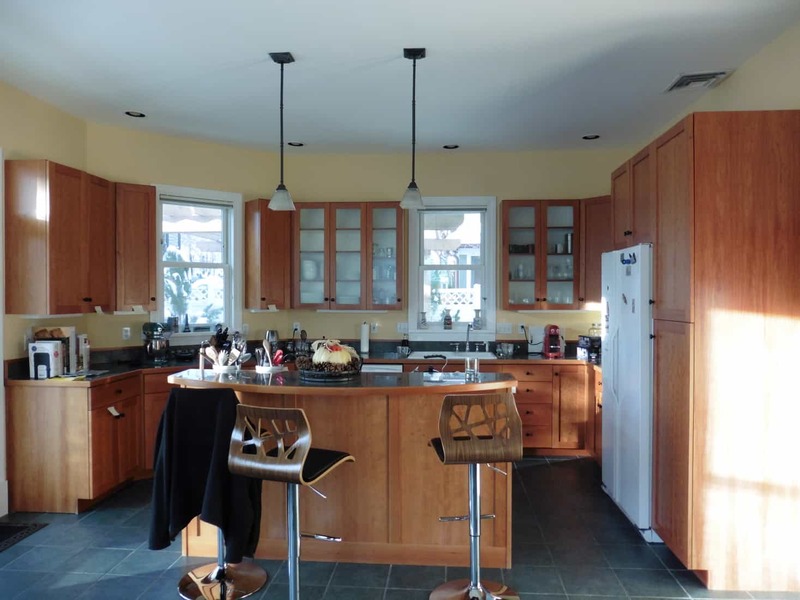 It also brings a more open concept to the home and ties the spaces together. 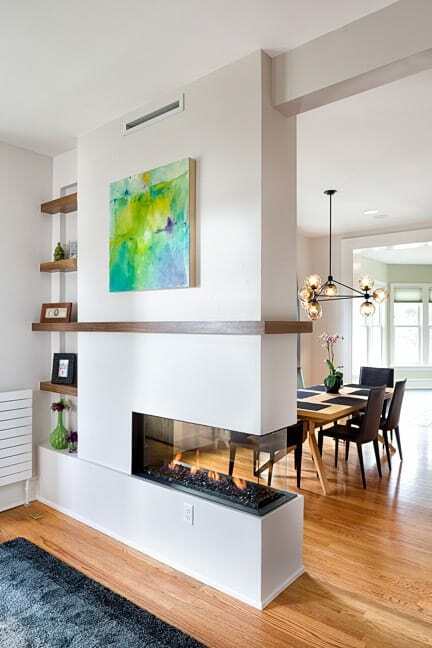 Custom shelving adds a striking design element to the fireplace and serves as a great way to display important photos and nicknacks. 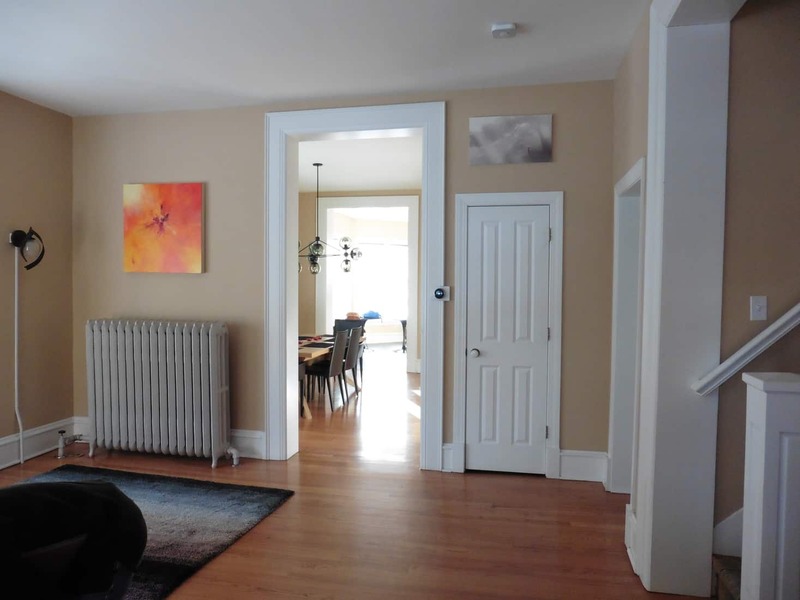 Phase two of the project, which included, a master suite remodel finished in 2018. Check it out here.